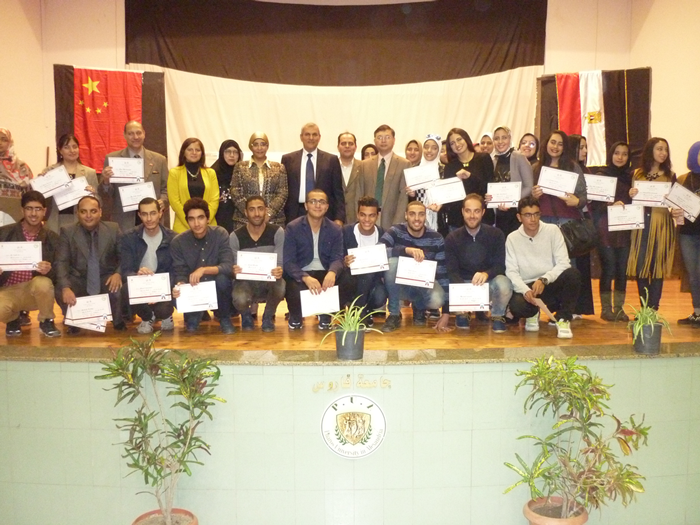 The Arabic Language Center in cooperation with the Chinese Language Department at the Faculty of Languages and Translation and the Confucius Institute at Pharos University held a celebration for the Egyptian-Chinese Friendship Day at the Student Theatre on Tuesday 19/12/2017. 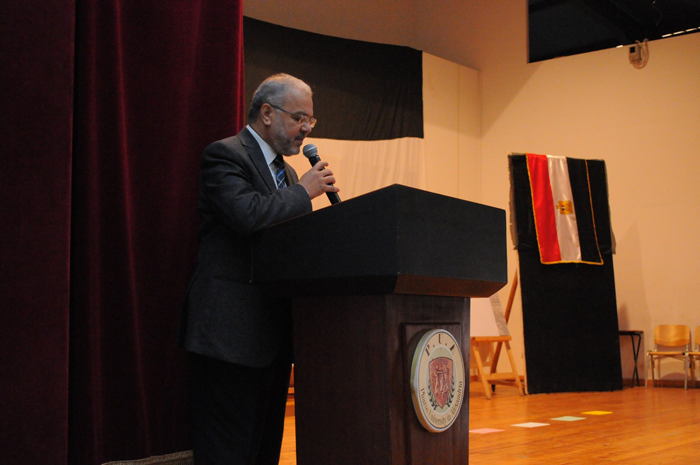 This was held under the auspices of Prof. Mahmoud Mohy El- Din, the President of Pharos University. 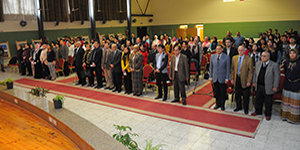 The ceremony was held in the presence of Prof. Mahmoud Mohy El- Din, the President of Pharos University; Mr. Xu NanShan, the Chinese Consul General; Prof. Norhan Hussein Fanaky, the Vice President for Education and Students Affairs and Dr. Mennatallah Gowayed, the International Relations Coordinator. 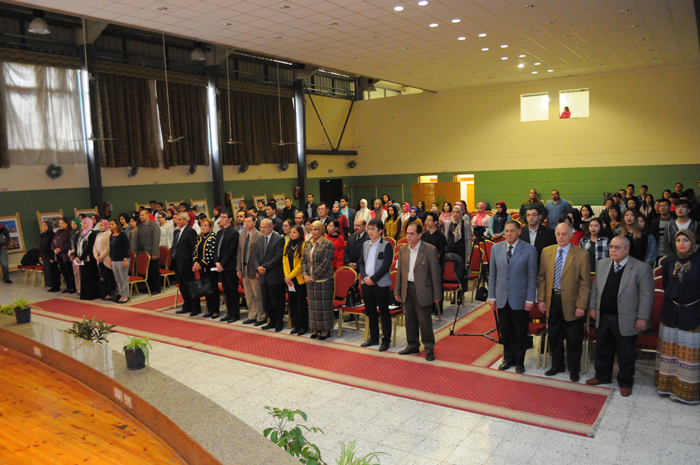 It was also attended by Dr. Rehab Mahmoud, the Director of the Confucius Institute at Cairo University alongside some of the Institute professors; Dr. Abu Tamam Ahmed Merghani, the Director of the Arabic Language Center; Dr. Wahid Al-Saeed, the Head of the Chinese Language Department and the Director of the Confucius Institute at Pharos University, alongside some deans. 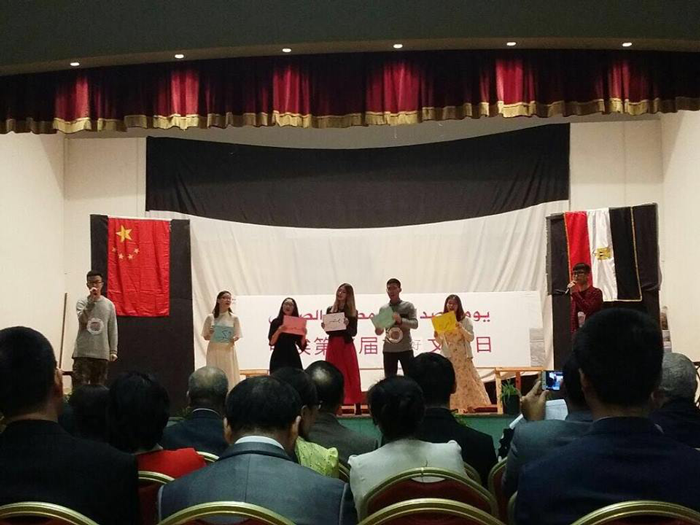 Chinese and Egyptian students presented a variety of segments that included reciting Poetry and singing in Arabic and Chinese, in addition to acting in Egyptian and Chinese. 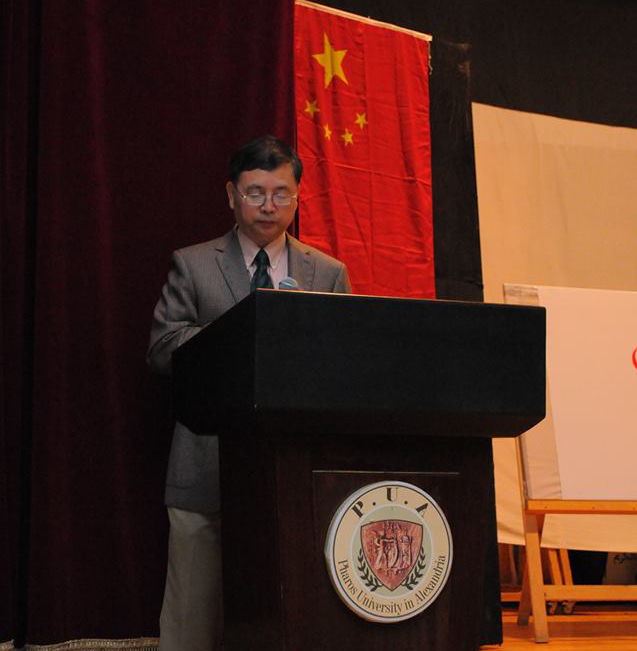 Chinese students also read some poems during the ceremony. The celebration also included a presentation on the means of cooperation and achievements between the two countries. A segment was allocated during the celebration to examine the paintings of the cultural and literary exhibition of Chinese students. Some historical paintings of China were displayed in the exhibition as well. The Chinese students expressed their experiences at Pharos University and how they benefited from the courses at a short documentary film that was shown during the celebration.